The Infant Virtual I.V. 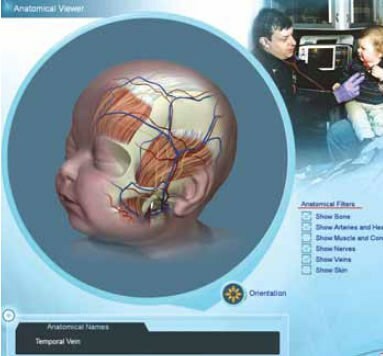 is a comprehensive self-directed learning system for training peripheral venous cannulation in infants ranging from prematurity to 15 months. 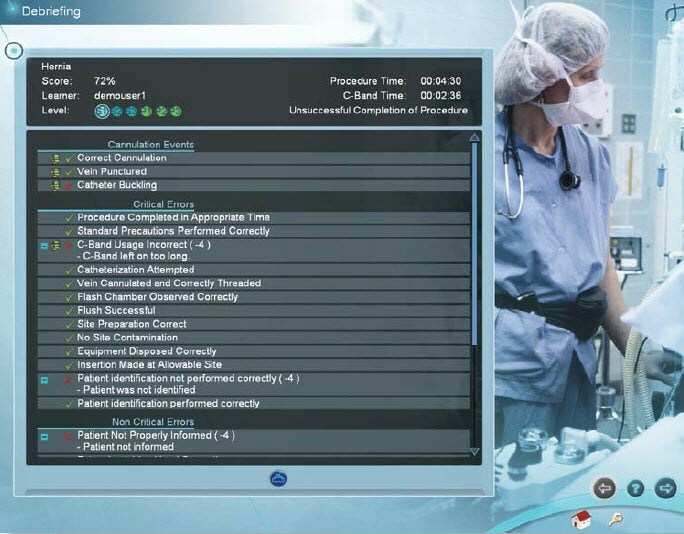 170 individual patient case scenarios progress in degree of difficulty and span the breadth of pediatrics while focusing on specific learning objectives. Realistic 3D visual and haptic effects allow students to see and feel the patient they are treating, creating an immersive environment that optimizes the learning process. The Anatomical Viewer allows the student to reposition the patient and isolate particular anatomical features (i.e. : skin, nerves, arteries, muscles, fascia and bones). Standardized educational content, training methodology, and performance measures enabling the novice student and advanced practitioner to independently master the uniquely challenging psychomotor and cognitive skills required to competently perform intravenous catheterization in infants. A validated learning approach motivates learners to develop critical thinking skills and respond, under pressure, to complications and difficulties specific to infants. 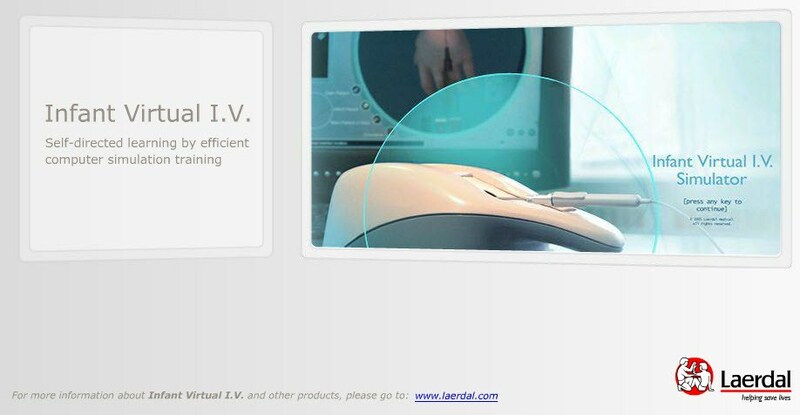 A force feedback device specifically developed to simulate the subtle touch sensations necessary for proper I.V. catheterization in infants, including venous and arterial palpation, the “pop” of venipuncture, and the delicate feel of catheter threading. Every infant accurately simulates I.V. access sites including the hand, arm, foot and scalp, with each site having its own specific assessment criteria. Virtual infants respond with bleeding, swelling from infiltration, bruising from blown veins, accidental arterial puncture, and other complications specific to infants. Learners are taught proper use of infant appropriate equipment including trans-illuminators, arm boards, infusion pumps, etc., as well as procedural steps specifically tailored to the needs of infants.